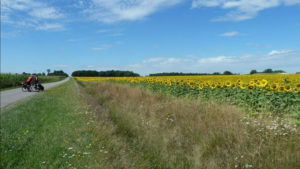 “We have just returned from a 7 day Walk and Coach Tour on the French Way. 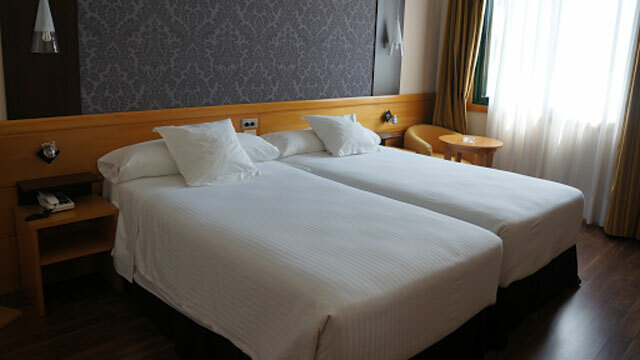 Every part of the trip exceeded our expectations - the quality of the hotels, the quality and quantity of the food, the walking experiences and the sight-seeing excursions. 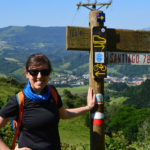 I would recommend this trip to anyone wanting to experience El Camino who doesn't have the walking ability, fitness or the confidence to do the full walking experience. All the hotels were 3 or 4 star. Some rooms were bigger with better facilities than others. All were clean and welcoming. The food in all the restaurants and hotels was excellent (is it possible to have too much?) mainly freshly cooked, local dishes. We had the added benefit of having an outstanding local guide. David, a young, personable and friendly young man with an excellent knowledge of the Camino and all the sights we visited. After our first walk he had clearly assessed the walking ability of us all and in subsequent walks had our coach available to pick up the less able walkers. We walked between 2 and 4 hours each day. There were a couple of arduous uphill parts but mainly through undulating countryside. Each day we enjoyed differing countryside from mountains to forests to vineyards to farm land. A reasonable level of fitness and walking ability is required and a good pair of walking shoes. We were fortunate to have dry weather all week but water-proof gear would be advisable as the weather in the area is notoriously changeable. There was a total of 15 in our group from a number of countries and of varying ages. Our group gelled well together with everyone supporting and encouraging each other with a lot of humour - and not a little wine! All in all, a great experience - made special by our guide and the people we shared it with." "An extraordinary experience indeed. My wife and I had the pleasure of a 10 day Trek through some of the most unique Portuguese Countryside and upgraded to the 'Superior Collection' (Parador Hotels), well worth it and more. Camino ways were flawless in their organization and attention to detail from our very first contact. We have only good things to say, in fact endless compliments in regards to CaminoWays Staff, Parador Hotels, meals (5 Star for sure), Trek route etc. We Canadians were very pleased. With great appreciation Rob & Michelle." Camino Portugues. 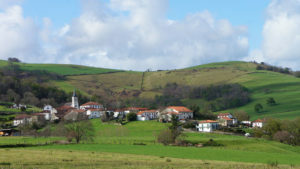 The Paris & Tours Camino or Paris Way, Chemin de Paris et de Tours in French or Via Turonensis in Latin, has been the Camino de Santiago route followed traditionally by pilgrims coming from the North of France and Europe. Paris, the City of Lights, is the starting point for this route. Tour St Jacques, in Rue de Rivoli, is the starting point pilgrims embarking on their Camino de Santiago journey for many centuries. 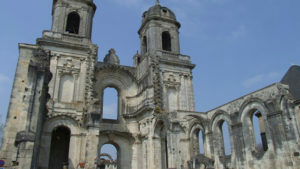 Followed by devoted Medieval pilgrims, the Paris & Tours Way is dotted with wonderful historic towns and sanctuaries of great importance, such as the Basilica of Saint Martin in the splendid city of Tours. Admiring majestic castles in the Loire Valley, walking across the fine vineyards of Bordeaux, exploring charming Medieval villages and, of course, treating yourself to authentic French cuisine (with a glass of Bordeaux wine!) along the way are some of the things that will make this Paris & Tours Way special. Paris is one of the most stunning cities in the world. “The city of love”, doesn’t disappoint when it comes to things to do and see. Take your time to visit the Eiffel Tower and perhaps take the elevator to the summit, but also take some time to explore the Parisian backstreets. Admire the landscape from Montmartre, visit the most famous Art Museum in the world; Le Louvre, sample French pastries and take a walk along the Seine. Beginning after breakfast, you will start walking from the Saint James Tower (Tour de Saint Jacques), last vestige of the former 16th century Church of Saint-Jacques-de-la-Boucherie (“Saint James of the Butchery”). You will climb the Saint-Genevieve hill along the Sorbonne, one of the most ancient and prestigious universities of France. Then you will cross Porte d’Orléans (city gate) to leave Paris. Leaving the city, you will take the quiet “Coulée verte”, a bicycle and pedestrian path bringing you to Massy, where you can admire the “Chateau de Vilgenis”. Very easy walk today, through small towns and villages like La Ville-du-Bois and Montlhery with their charming churches and market places. You can appreciate the medieval past of this area admiring the Tour de Monthlery and the Longpont Abbey, before arriving in Arpajon and its beautiful “grande halle”. You leave Arpajon and enter the real countryside, with numerous fields and woods. You cross Torfou with its beautiful architecture before arriving in Etrechy where you can contemplate the Saint-Etienne church built in the XIII century. Then, you will arrive in Etampes to visit the impressive tour de Guinette. 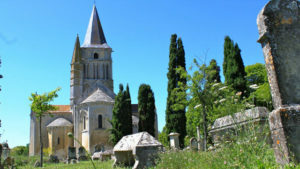 You will leave Etampes by taking a former roman path which leads you to Saclas, here you can visit the Saint-Germain church. 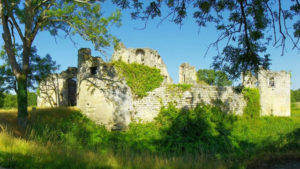 Then you will reach Mereville, where you can take a break and visit the castle with its XVIII century English gardens. The final destination for today is Angerville. Today you will be walking in the Beauce region, one of France’s most productive agricultural areas. This flat relaxing stretch will take you across hamlets and farmland. 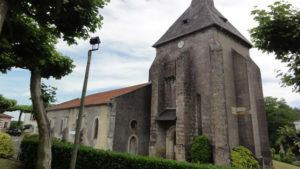 In Teillay-le-Gaudin you can visit the lovely XVI century church. You will end your walk for today in Artenay. Today is quite a long walking day so you may wish to take a taxi for the last few kilometres. Ask our travel consultants for advice. You leave Artenay to continue your walk across the forests of the Orléans region and finally arriving in the city. Orléans is a very historical city so it’s worth taking time to visit its many sites, such as the Sainte-Croix Cathedral and the city’s Art Museum, home to over 2,000 paintings. After breakfast, you will walk from the Sainte-Croix Cathedral in Orléans and continue along a bicycle path. 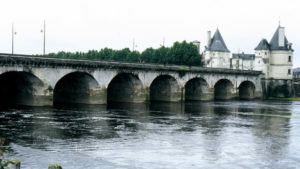 You will follow the Loire, the longest river in France, until you arrive in Meung-sur-Loire. 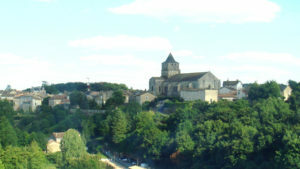 Here you can admire the Saint-Liphard church and the XII century castle. 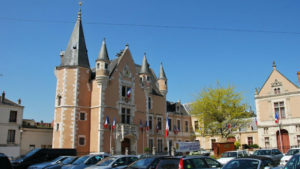 You will arrive in Beaugency where you will be staying. Here you should take some time to visit the Dunois castle. 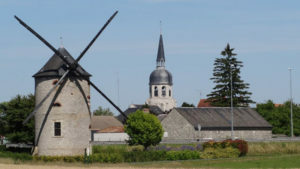 Today you will leave Beaugency and walk along the Loire valley across the stunning countryside. The end of your walk for today is Suèvres, a charming little village where there are two churches to visit. We have prepared a shorter walking stage for today, so you can spend some time to explore the city Blois. In Blois, you can visit the XIII century castle, the Saint-Louis Cathedral and the city gardens, illustrating 3 different periods: Middle Ages, Renaissance and Classic. Leaving Blois, you will cross the river and walk along fields and woodland. 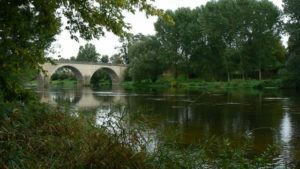 When you arrive in Candé-sur-Beuvron, you will cross the river again via a lovely medieval bridge. 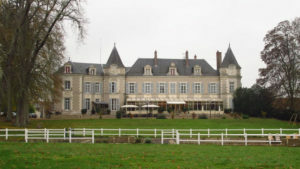 When you reach Chaumont-sur-Loire you can admire the beautiful castle overlooking the river. Today’s stage includes very easy countryside walking. From Rilly-sur-Loire there are a number of species of birds to spot. 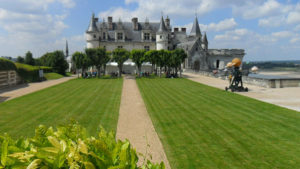 You will discover the vineyards of Touraine before reaching Amboise. You can visit Château d’Amboise, one of the most beautiful castles in France and former royal residence; as well as the Clos Lucé mansion. The mansion is connected to the castle by an underground passage. Leonardo Da Vinci lived there for 3 years. 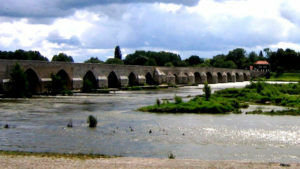 Leaving Amboise, you will follow the river before reaching Vouvray, well known for its white wine. 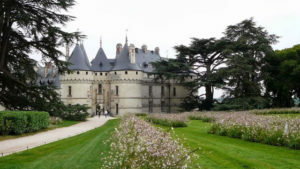 Then you will arrive in the historic town of Tours where you can explore it’s well preserved old city, visit the imposing Saint-Gatien cathedral and marvel at the Basilica of Saint-Martin. 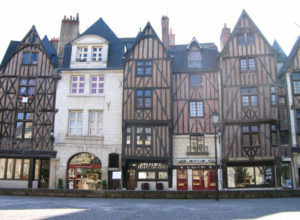 Nestled between the Loire and Cher rivers, Tours is a vibrant and interesting town. After a great deal of the city was destroyed during the second world war, the medieval quarter has been restored over the years. 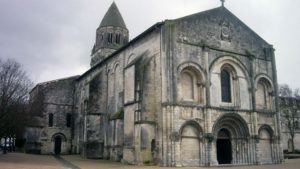 The Cathedral St Gatien ranks among France’s finest. The presence of the University brings life to the ancient city. 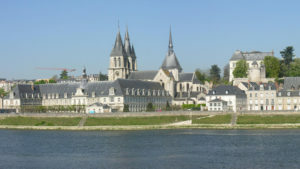 Leaving Amboise, you will follow the river before reaching Vouvray, renowned for its white wine. Then you will arrive in the historic town of Tours where you can explore it’s well preserved old city, visit the impressive Saint-Gatien cathedral and marvel at the Basilica of Saint-Martin. 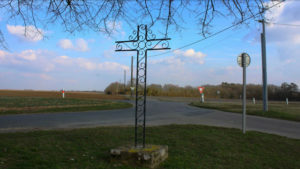 Today, you will walk through several hamlets before arriving in Sainte-Catherine-de-Touraine. This is where Joan of Arc received the sword she used to free Orléans. A statue of Joan of Arc was erected in the centre of the village. Then you will reach Sainte-Maure-de-Touraine. At Sainte-Maure-de-Touraine you can visit the church and XIV century castle, explore the old town and sample its famous goat cheese. After Sainte-Maure you will start walking through fields of cereal crops on your way to La Celle-Saint-Auvant where you can visit its beautiful XI century church and Les Ormes home to a XVIII century wooden hall. 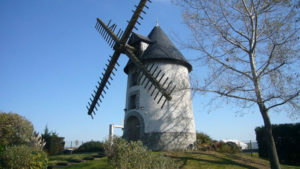 You will finish your day in Dange-Saint-Romain where you can admire the bridge, the church and several windmills. A very easy walk today. Along the way, you should visit the X century church in Ingrandes. When you arrive in Chatellerault, a place famous for its pilgrims, you should see the renowned wooden statue of Saint James in the church of the same name (Saint Jacques). Today you leave Chatellereault and follow the River Vienne. 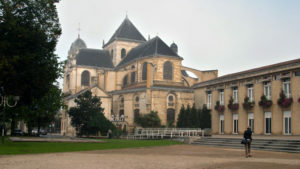 Then, you will take a former Roman path leading to Poitiers where you can visit the Roman Catholic Church Notre-Dame de la Grande, built in the XI century. 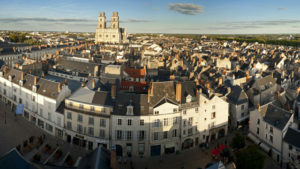 You may also wish to visit the Saint-Jean de Montierneuf church and the attractive city centre with its medieval relics. As the trail is quite long today you may wish to take a bus for the last few kilometres to shorten your journey. For example in Fontaine, at km 25, you can decide to leave the Camino trail, and walk for 500m on your right handside, cross the bridge and reach Chasseneuil-du-Poitou, where some buses to Poitiers city centre regurarly pass. Same option at km 18: leave the trail to walk for 500m on your right handside, reaching the village of Dissay. After your visit to Poitiers, you will continue on your way. Reaching Fontaine-le-Comte, here you should make sure to visit its abbey, listed as a National Heritage Site of France. After Fontaine, you will walk across fields, woodlands and gorgeous countryside, to Coulombiers. 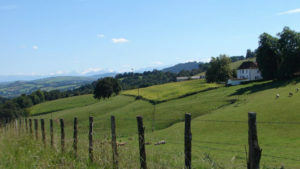 Next you will continue your countryside walk, passing some hamlets and arriving in Lusignan. Legend has it that the fairy Melusine created the beautiful castle here with her wand. You will then continue walking across the countryside and pass many more hamlets before arriving in Chenay. Perfect time to enjoy the local nature as today’s walking stage will take you through little country roads and paths. 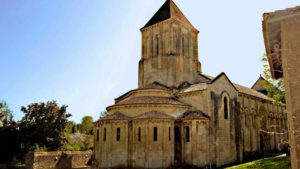 You will shortly arrive in Melle where you can visit three churches: Saint-Pierre, Saint-Savinien, and finally Saint Hilaire, the latter of which is listed as a UNESCO World Heritage Site. Today you will enter the region of Saintonge. 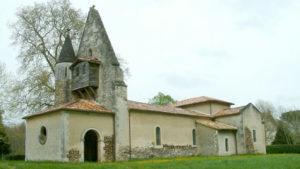 You will pass through Villiers-sur-Chize and its beautiful old church ruins before arriving in Aulnay where you can visit the Saint-Sulpice church and the old castle tower. Today you will discover the rich medieval heritage of the region, as you walk along the country and pass hamlets with picturesque churches, gates and old halls. Your final destination today is Saint-Jean-d’Angely where you can admire the royal abbey, the clock tower and the gorgeous streets with their timber frame houses, the oldest of which were built in the XV century. Today you will leave Saint-Jean-d’Angély and reach Fenioux where you can visit its lantern of the dead. 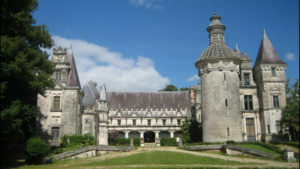 On the way you can also visit the church of Juicq and the castle of Douet built in the XIV century. Here you will cross scenic countryside through farms and vineyards before reaching Saintes where we recommend paying a visit to the XI century abbey. Today you will leave Saintes and cross the countryside through the vineyards of the famous Pineau aperitif. You will also pass many Roman ruins along the way. When you arrive in Pons you can visit a XII century dungeon, the Usson castle which used to be a hospital for pilgrims and is listed as a UNESCO World Heritage Site. As you leave Pons you will continue walking through vineyards before reaching Saint-Genis-de-Saintonge. You will arrive in the abbey of Tenaille founded in 1125 before reaching Nieul-le-Virouil. 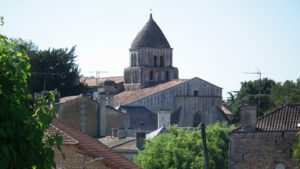 Here you can admire the church of Saint Sevrin with its unique bell tower before arriving in Mirambeau. Today is a short stage allowing you to enjoy the walking route along little pathways. In Pleine-Selve you can admire the remains the old monastery. 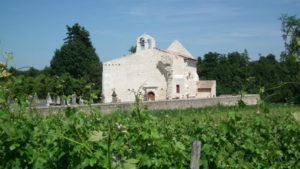 Further along, you can visit the church of Saint-Palais before reaching Saint-Aubin-de-Blaye, where you will be staying. 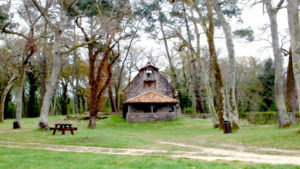 Today, you leave Saint-Aubin and enjoy walking across woods and pine forests on your way to Cartalegue, where several graves of pilgrims are to be found in the cemetery. 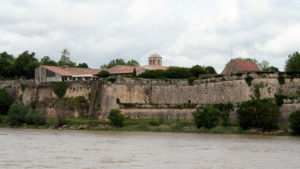 Your final destination for today is Blaye. Here you can admire the citadel built by Vauban to defend the city of Bordeaux. Inside the citadel there is a cloister, a chapel and a castle built in the XII century. 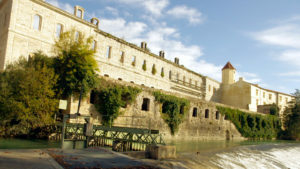 The citadel is also home to one of the smallest vineyards in all of France. Today you will walk across the Medoc region, famous for its fine wines. You will pass vineyards such as Chateau Margaux and Chateau Lamarque on your way to Blanquefort (28km from Blaye) where you can visit the castle. From Blanquefort, you can take a bus or a taxi to Bordeaux. This will save you walking through the suburbs of Bordeaux (approx. 10kms). 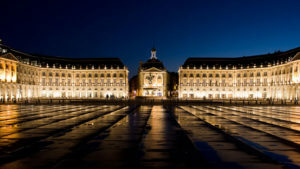 In Bordeaux you will be spolit for choice in terms of things to do and see. Firstly you can admire the basilicas of Saint-Seurin and Saint-Michel, both listed as UNESCO World Heritage Sites. You may also wish to visit the art museum which one of the oldest in all of France; and the outstanding city centre, also a UNESCO World Heritage Site. Bordeaux is the world’s major wine industry capital. It is home to the world renowned Vinexpo wine fair, taking place every second year in the month of June. The historic part of the city is on the UNESCO World Heritage List as “an outstanding urban and architectural ensemble” of the 18th century. 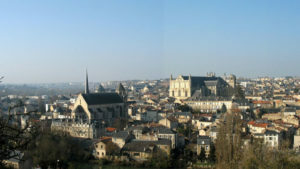 The city is affectionately called “La perle d’Aquitaine” (Aquitaine’s paerl) and “La Belle Endormie” (Sleeping Beauty). To save you a 10km-walk through the suburbs of Bordeaux, we suggest you take a short bus transfer to Gradignan (bus fare not included). From here, you will quickly reach the countryside and follow a path which will bring you to the Landes region and its huge pine forests. Your arrival point for today is Le Barp. After leaving Le Muret you will be greeted by a scenic country landscape of green fields and woodlands. In Moustey there are two churches you can visit, located in the same cemetery, the second church being a museum. All along the way you will encounter healer fountains in many hamlets, a mix of ancient beliefs and Christian veneration. 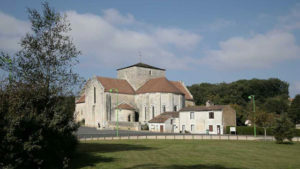 Your walking day finishes at Labouheyre and its XV century church. Today you will walk across forests and farmland, spotting isolated houses and traditional farm houses scattered along the way. 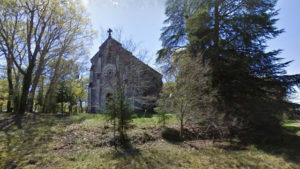 You will cross Escource before arriving in Onesse-Laharie where the beautiful church is worth a visit. Today is the last forest stage of the Landes. You will walk to Saint-Paul-lès Dax, where you can visit the beautiful church listed as a National Heritage Site by the French government. When you arrive in the city of Dax, you can check out its famous thermal waters. It’s worth visiting The cathedral of Dax with its portal of the apostles and the Nethe (hot water fountain). You will leave Dax by crossing a bridge. Here, your walking route starts to change and there will be a slight incline. You’ll notice that oak trees replace the pine forests that had been accompanying you until now. Your arrival point for today is Sorde-l’Abbaye and its lovely XIII century abbey. At the end of this walking stage you will arrive in the Basque country. You will reach Labastide-Villefranche, where there was once a hospital for pilgrims. It has since disappeared and now the local cows sleep inside the Roman chapel. You pass through Arcanou, where you can visit the church, before reaching Garris. Here you can walk through the city centre and its traditional regional houses. Today, you have a short walking stage which brings you into Ostabat through Saint-Palais. 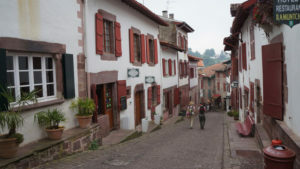 In Saint-Palais you can visit the museum dedicated to the Camino de Santiago and it is here where the pilgrims from Puy, Vezelay and Tours all meet. There will be somewhat of an incline before reaching Soyarza but the breath-taking views upon arriving will be your reward. You will then go through Harambeltz with its beautiful church featuring murals and a superb Roman portal before finally descending in the direction of Ostabat’s charming city centre. Paris Beauvais Airport 85km: There are two options for travelling between the airport and Paris: The direct shuttle from/ to Paris (Porte Maillot) (see www.aeroportbeauvais.com) or the bus line 12 from/ to Beauvais station or city centre (see www.destination-beauvais-paris.co.uk). For thge second option, you will have to take the train between Paris (Gare du Nord) and Beauvais (Gare SNCF), too. See www.voyages-sncf.com. Orleans (station “Centre” or “L’Aubrais”) and Paris (Gare d’Austerlitz) by train, there is a good connection, taking approx. 1h. See www.voyages-sncf.com. Charles de Gaulle Airport 153km: from/to Paris d’Austerlitz: From the airport, take the RER train to St. Michel (Notre dame) (45min travel time). From this station, there is a metro (line 10) to Paris d’Austerlitz (10min). See www.aeroportsdeparis.fr . Paris Beauvais Airport 220km: The best route between Orléans and Beauvais is the one via Paris (Gare d’Austerlitz): With the train, it only takes 1h from/to Paris (regular departures). See www.voyages-sncf.com. 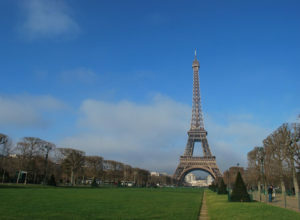 In Paris (Porte Maillot), you can take the direct shuttle bus from/to Beauvais airport (see www.aeroportbeauvais.com). Porte Maillot is approx. 8km far apart from Gare d’Austerlitz. You need to take the regional train RER C. See www.ratp.fr. Paris Airports: By train: you can take the regional trains or travel with the TGV. From Tours (station “Centre”) to Paris (Gare d’Austerlitz), you can take a regional train (taking approx. 2h) or the TGV – it only takes approx. 1h15 and departs/arrives at “Gare Montparnasse”. See www.voyages-sncf.com. Paris Orly Airport 223km: Orly Airport and Gare d’Austerlitz are linked by metro as well: take the metro (line 10) to Pont de Rungis and then the shuttle bus to the airport. See www.aeroportsdeparis.fr. The journey between Gare Montparnasse and both airports is easier: The Air France buses directly serve both airports every 30min (stop name: Rue du Commandant Mouchotte). Line 1 from/to Orly and line 4 from/ to CDG, See www.lescarsairfrance.com. La Rochelle Airport 75km: Saintes has a direct train connection from/to La Rochelle (Gare de la Rochelle-Ville or Porte Dauphine), taking 50min-1h10 (regional trains and intercities available). See www.voyages-sncf.com. There is a local bus (line 7 or line 47 on Sunday) from/to the airport (every 30min, 15min travel time). The distance between the station “Rochelle-Ville” and the stop (named Place du Verdun) is approx. 2km, while the distance between “Porte Dauphine” and the stop is about 750m. Bordeaux Airport 125km: The direct train connection between Bordeaux (Gare St.-Jean) and Saintes is regular with travel time is approx. 1h15-1h35 (regional trains and intercities available). See www.voyages-sncf.com. There is a shuttle bus between the station (Gare St.-Jean) and the airport (every 45min, travel time approx. 20min). See www.bordeaux.aeroport.fr. Bordeaux Airport 10km: For the journey between the station (Gare St.-Jean) and the airport, there is a shuttle service (every 45min, travel time approx. 20min). See www.bordeaux.aeroport.fr. Toulouse Airport 240km: From the airport to the station, you can take a shuttle bus (“AERO”, departing every 20 min, taking approx. 40min). See www.toulouse.aeroport.fr. The central train station Toulouse-Matabiau is well connected with Bordeaux (St Jean), with almost hourly departures (travel time between 2h (intercities and TGV and 3h – regional trains). See www.voyages-sncf.com. Biarritz Airport 55km: You can take a shuttle bus from Biarritz Airport (25 min approximate travel time) to Bayonne Gare (station). From there, you can take a train to St Jean Pied de Port five times a day (approx. total journey time. 1h40 – 2h25 in total). See www.voyages-sncf.com and http://en.biarritz.aeroport.fr/. Alternatively, contact the team for airport transfers. Pau Airport 90km: Airport Shuttle bus is available from the airport to the town’s train station every hour (except Sundays and public holidays). 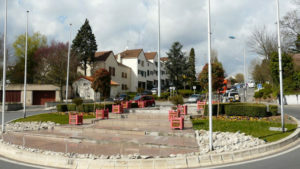 See http://www.pau.aeroport.fr/. From the town you can take a train to St Jean (up to 5 times/ day; not on Sunday), with a change in Bayonne. Travel time is about 3h-5h, depending on the time you need to wait in Bayonne. 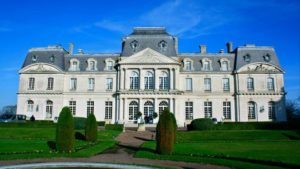 See: www.bonjourlafrance.com/. Bordeaux Airport 235k: Shuttle bus to the train station (45min), then train to St Jean Pied de Port via Bayonne See www.voyages-sncf.com.